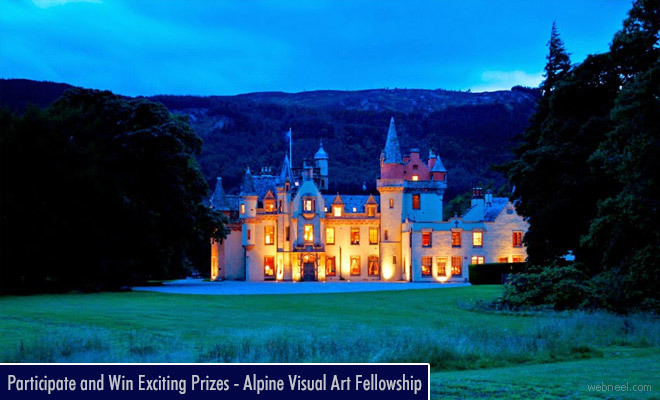 Artists here is an amazing opportunity to win $4187 (3000 Pounds) for participating in the Alpine Fellowship Contest. The theme for annual Alpine Fellowship symposium is - Childhood. Artists above the aged 18+ across worldwide can send their entries to visualarts[at]alpinefellowship.com by March 15th 2018. The winning entries will be put up for exhibition during the symposium which will be held between June 21st – 24th 2018. Artists can send entries for mixed media: Painting, Sculpture, Digital, and Installation. One entry is allowed per artists and they should be supported with images and videos. The first three winners will be invited to visit the Venice Symposium which will beheld in June 2018. The first prize winner will receive $2791 (2000 Pound) and $1396 (1000 Pound) for installation of the artwork. According to The Alpine Fellowship 2018 'On Childhood’ ,"In ancient literature you will find children, but you will not find childhood. The children portrayed in ancient texts are incomplete adults. They do not reach adulthood by passing through a world of their own, in which magic forces overcome all threats and maintain a regime of comforts. They do not enjoy a special kind of innocence, nor do they have an art and a literature in which children and their imagined companions take centre stage.Children’s literature derives from fairy tales addressed specifically to the child’s state of mind, and which play with the residue of hunter-gatherer terrors". Participants visualize your idea of childhood and show how it merge with modern world.